Salesforce can be a powerful reporting tool for marketers tracking potential customer interactions and activity. 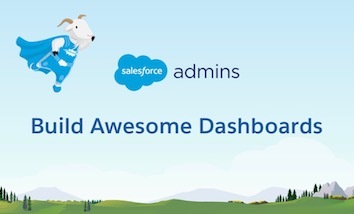 In fact, setting up a basic marketing dashboard is a great way to learn the basics about how to use the Salesforce reports & dashboards really quickly. Let’s walk through, step-by-step, how to set up a great marketing dashboard in just a few minutes. The marketing manager wants to know that the quantity and quality of incoming leads are on track. She wants to see how her marketing efforts are impacting incoming business. Did the December holiday campaigns bring in as many people as the spring break campaigns? Marketers want to make sure that lead generation is consistent over time and want to account for seasonal dips or industry specific dips. Perhaps she can add an extra campaign for slow months, or warn the sales team that lead generation will slow down. To see this data, we need to create a report tracking incoming leads over time. Open the Reports tab, click New Report. Select the Leads object, click Create. Change the report format from Tabular to Summary. Drag the Create Date field into the grouping area, then click the arrow drop-down menu to select Sort by Month. Now let’s see what this report looks like in a chart as we start to build our Marketing Dashboard. Click the Dashboard icon in the navigation menu, then select Create. Select the Leads Over Time report. Click the edit icon on the chart, and change the format to line chart. This will allow us to see the trends over time. Now that we can see how many leads marketing efforts are bringing in over time, we want to measure the quality of those leads. Are our marketing efforts actually bringing in new customers? We can evaluate this by tracking how our leads are moving down the sales cycle, which gives us an idea of how our marketing and sales teams are performing. To do this in Salesforce, we can create a report on Lead Status field. Click the Reports icon, then select New Report. Choose the Leads object and then Create like last time. Change the report format from Tabular to Summary. Drag over the Lead Status field in the grouping area. Next, click Add Filter. Select Status not equal to Closed Not Converted. This prevents us from seeing dead leads. Now let’s see this in chart form on our Marketing Dashboard. Click the Dashboards icon in the navigation menu, then select the Marketing Dashboard, and Edit. Select Add and choose the Leads Conversion report. 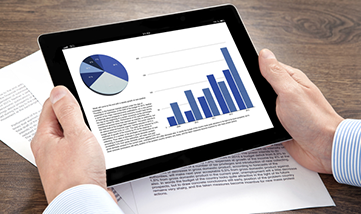 Make sure the chart format is a horizontal bar chart, with the x-axis as Record Count, and the y-axis as Lead Status. Note: There is no funnel chart yet available in Lightning, but you can use that format in Classic. Show me the money! My marketing manager is happy to see leads trending over time, and lead conversions, but now she really wants to know how her marketing efforts are contributing to the business. 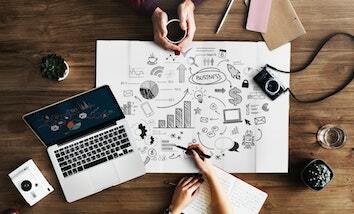 Marketers want to be able to correlate revenue to their campaigns. Does email bring in more money than social ads? Should we spend more money on events or partner relations? Knowing where the money is coming from helps marketers make these important decisions. We can do this easily in Salesforce since the Opportunities and Leads objects are related. Click the Reports icon in the navigation menu, select New Report. Choose the Opportunities object, and then Create. Change the report format from Tabular to Summary, and drag over the Lead Source field into the grouping area. Find the Expected Revenue field column, and click the drop-down menu to select Summarize, and then select the Sum checkbox. Now let’s see this data in a pie chart. Click the Dashboards icon in the navigation menu, select the Marketing Dashboard, then Edit. 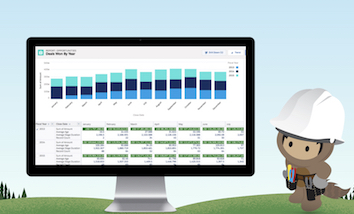 Click the Add button and choose the Expected Revenue by Lead Source report. Click the Edit icon on the chart, and change the format to a pie chart. Now you can move around and resize the charts on the dashboard to display the data in the best way possible using drag & drop. Look at that beautiful Marketing Dashboard! Now you can share this with your marketing partner and she’ll be amazed how quickly you built it. And then she’ll ask you for more insights, since she knows what you are capable of doing as an #AwesomeAdmin. Have feedback? Please let me know what you like, don’t like, and what else you’d like to learn.